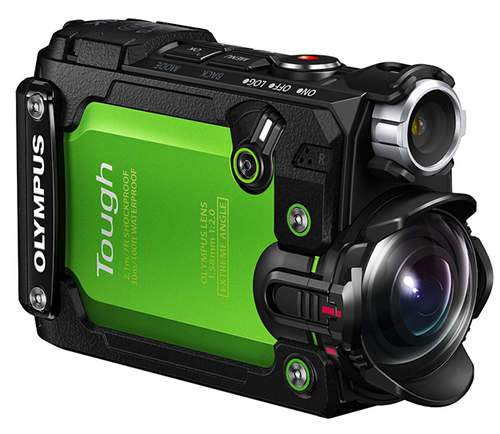 The Olympus Stylus Tough TG-Tracker captures 4K at 30 fps. It is waterproof to depths of 100 feet (30 meters) with no additional housing. It’s shockproof from 7 feet, freezeproof to 14 degrees F and crushproof up to 220 pounds of force. So far it’s just about better than GoPro. It has a Field Sensor System with GPS, temperature, barometric pressure and accelerometer sensors. The camera can capture position, speed, water and air temps, altitude and water depth. These can be viewed on the camera’s flip-out display or on its companion smartphone app. 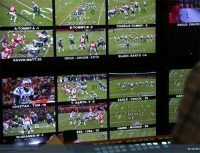 The camera will even keep collecting data when it is not recording. The sensors alone make this camera better than GoPro. The TG-Tracker comes with a three-prong mount adapter that’s compatible with widely-available action cam mounting accessories. 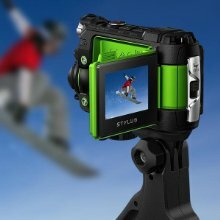 In addition, the included Steady Grip allows for comfortable shooting from any angle.